Below is a 5-question test on finding the y-intercept of a line. This test is linked to the lesson on finding the y-intercept of a line, which also has a test. Finding the y-intercept of a line What is the y-intercept? 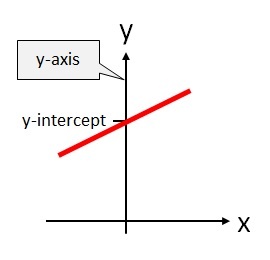 The y-intercept of a line is the y-coordinate of the point where a line, curve or surface crosses the y-axis.